I think this is the third translation of the Gospel of Thomas I've read, and possibly the most recently published (1992). Translator Marvin Meyer's introduction conspicuously suspends judgment about the "gnostic" character of the text, and thus side-steps the terminological morass surrounding "Gnosticism." Instead, he emphasizes a shared culture with the Cynic philosophers of antiquity. This "gospel" is one of the most significant components of the Nag Hammadi Library discovered in Egypt in the mid-20th century. It differs from the canonical gospels by entirely lacking a narrative spine, and consisting solely of purported teachings of Jesus. It thus provides another point of reference for the text-critical approach that postulates a Q (Ger. Quelle, "source") text to serve as a prior reference common to the synoptics, as well as demonstrating that a document of this form did exist among Christians of the first centuries. The text in this edition is printed with a typeset Coptic original on facing pages, and there are endnotes for each logion ("saying"). The notes supply alternate readings of the Coptic, along with parallels in canonical and extra-canonical Christian scriptures, ancient theological writings, and other literature of the period. Appended to this edition is "A Reading" of the gospel by literary critic and academic Harold Bloom. I found myself fairly sympathetic to most of this "sermon" from Bloom, although it does repeatedly advert to his idiosyncratic identification of American Protestantisms and Mormonism as "gnostic." The one point at which he lost me altogether was when he wrote, "What is surely peculiar is the modern habit of employing 'gnosis' or 'gnosticism' as a conservative or institutionalized Christian term of abuse" (120). Bloom overlooked Irenaeus and Hippolytus somehow, along with the many centuries of theologians who took them as authorities, I guess. 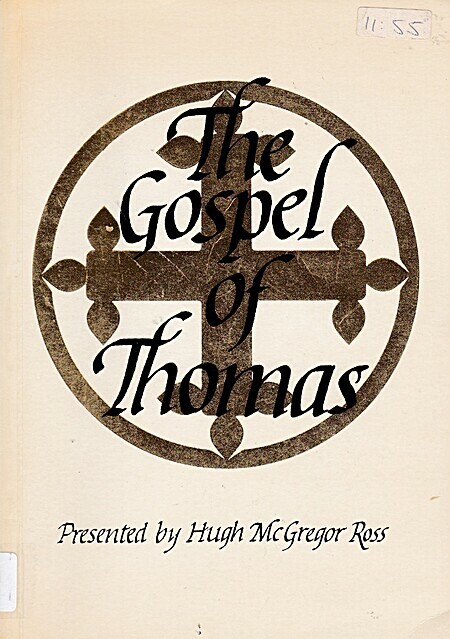 There are several good stand-alone translations of the Gospel of Thomas with explanatory notes; this is still one of the better ones by a scholar who has specialized in translation work.